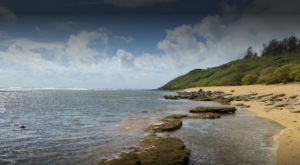 While it would be impossible to explore all this captivating state park has to offer, there is one hike you absolutely must experience, whether you have one morning or one month set aside to check out Hawaii Volcanoes National Park. 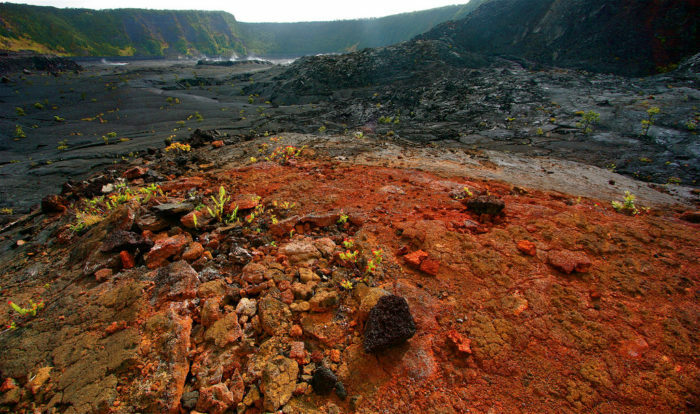 This is the Kilauea Iki Trail, an absolutely jaw-dropping journey through a diverse array of scenery. 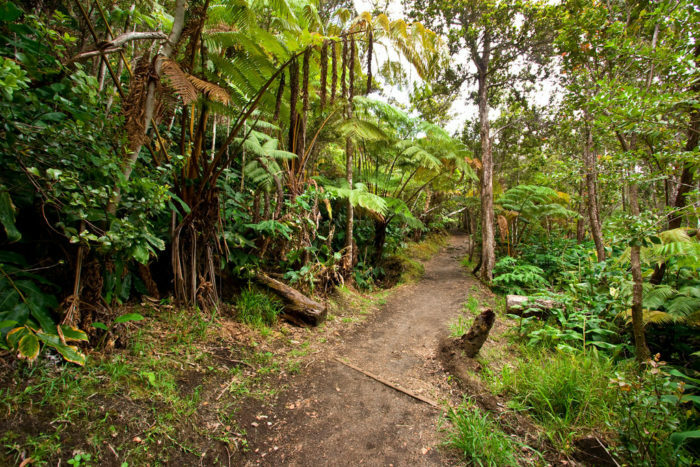 The popular 4-mile loop trail was voted as the Big Island’s best scenic hiking trail by Hawaii Magazine. 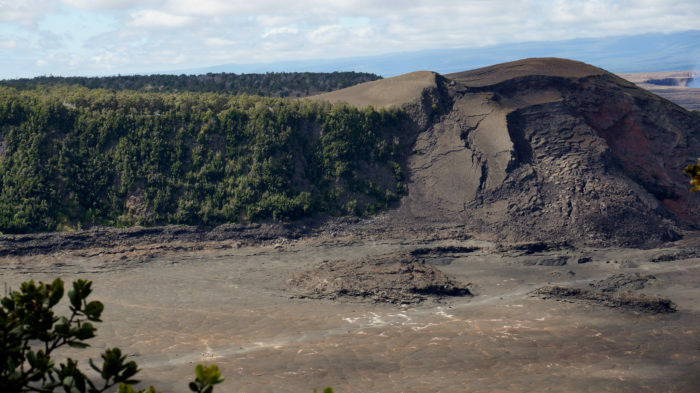 This wildly popular hiking trail will take adventurers through the Kilauea Iki crater - the site of a massive 1959 volcanic eruption. 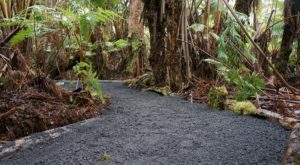 The hike begins near the Thurston Lava Tube on Hawaii Volcanoes’ Crater Rim Drive and descends more than 400 feet through a variety of scenery. 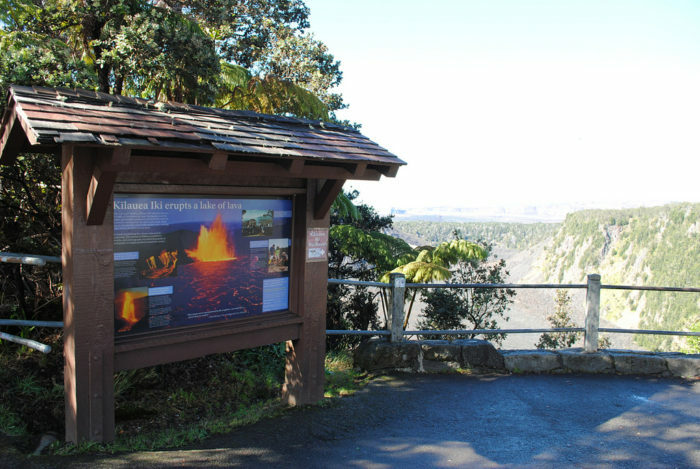 You can also begin the hike at the Kilauea Iki parking lot. 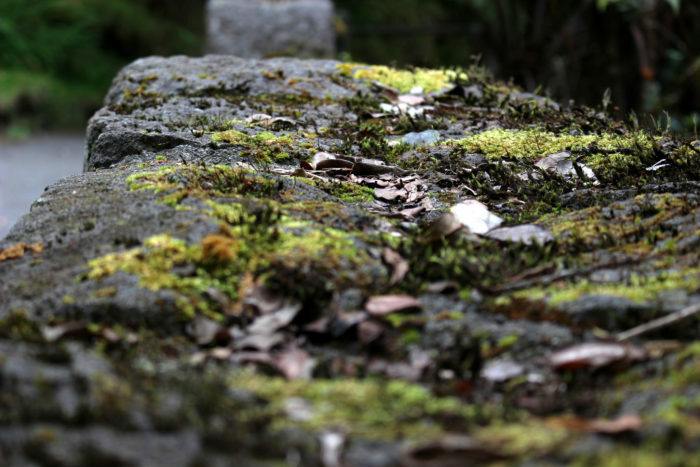 The trail is a loop and it shouldn't matter whether you take the path clockwise or counter-clockwise! 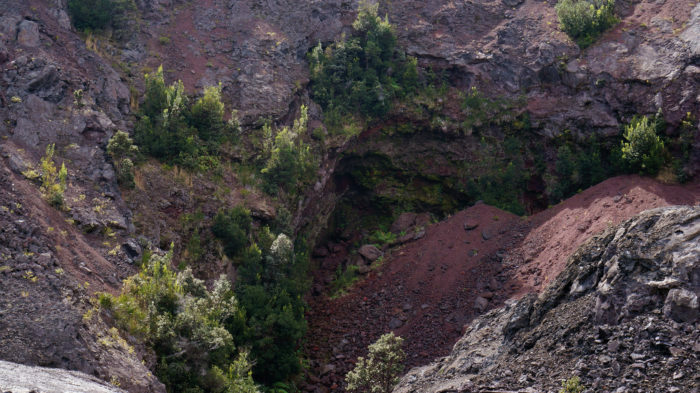 Head down the stairs and start making your descent down the steep and rocky side of the crater. 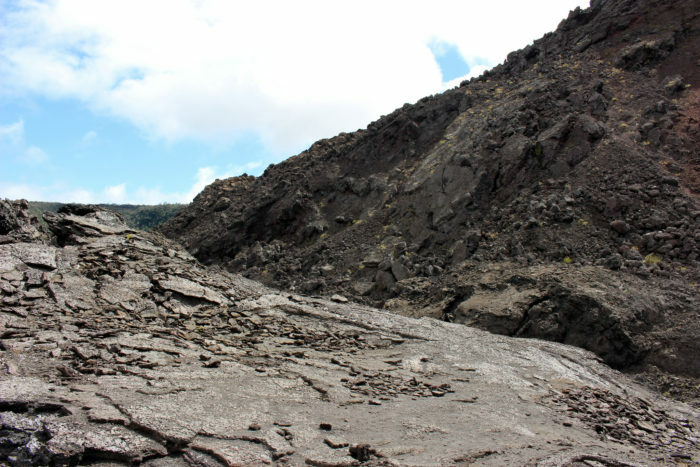 …and across a solidified lava lake, home to plenty of new vegetation. 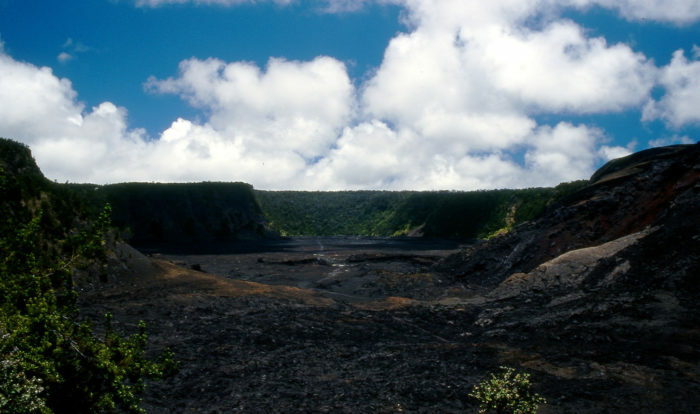 The fiery home of one of Hawaii’s most revered gods, Pele, Kilauea is both Hawaii’s youngest shield volcano (above sea level, that is), as well as the most active. 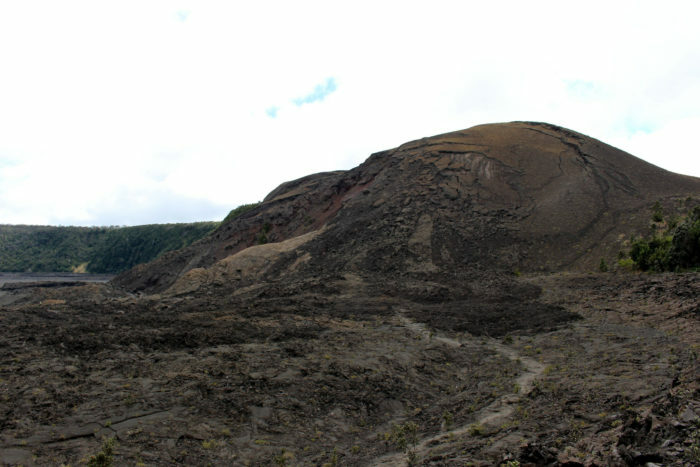 The volcano is also experiencing one of the most long-lived eruptions known to man – the eruption began in 1983 on the eastern rift zone, and continues to this day. 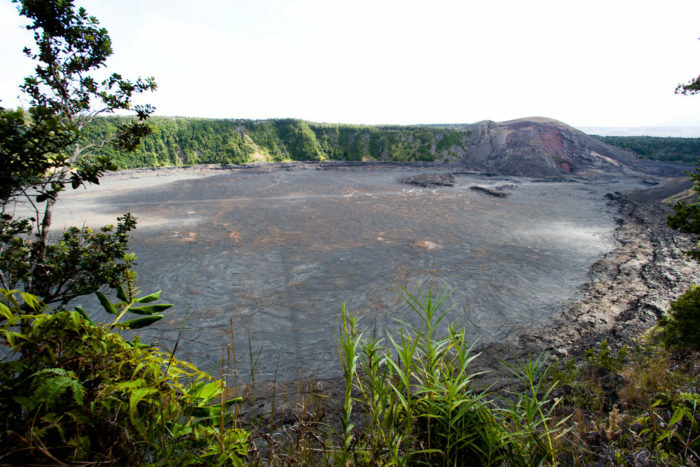 If you only have time for one hike during your visit to Hawaii Volcanoes National Park, this is the one to experience! 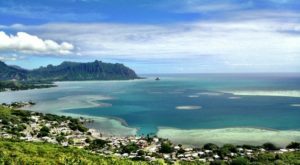 Start early to avoid the heat - and the crowds. 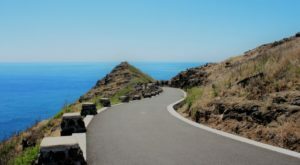 The entire four mile trail should take approximately two to three hours. 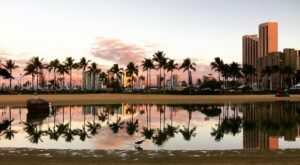 Be sure to pack both sunscreen and rain gear - the unpredictable weather can go from hot and sunny in one moment to cool, wet and windy rather quickly. 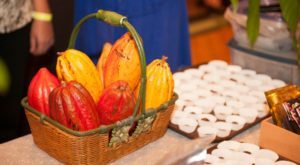 Don't forget water and snacks, too. 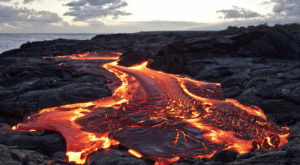 Want to get up close to Hawaii’s volcanoes? 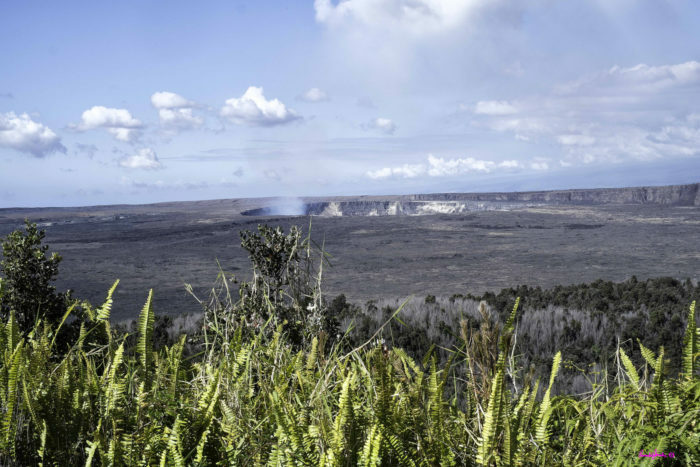 Check out all of the best places to visit within Hawaii Volcanoes National Park right here, and read about these 12 Hawaii volcanoes. 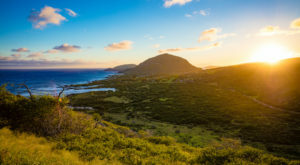 And don’t forget – a trip to Hawaii Volcanoes isn’t complete without a visit to the Kilauea Caldera, a trip down the Thurston Lava Tube, a walk through the lava fields, a drive down the Chain of Craters Road, and, of course, as much hiking as you can handle!